This photo-quality calendar offers your logo a lift! Staple-bound calendar features gratifying full-color photography of classic street-racing cars. The nostalgic 13-month calendar clearly identifies holidays and other special remembrances. Perfect promotional tool for classic car clubs, car cruises, auto dealerships and repair shops. 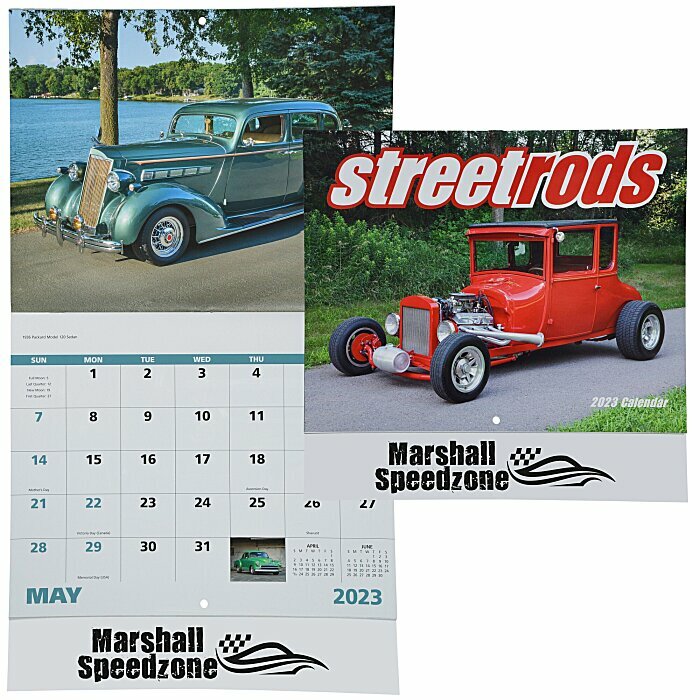 For spiral-bound version of this calendar, see item #112277-SPStreet Rods Calendar - Spiral.